The Texas Tribune reached out Monday to 13 of the 15 counties with the most registered voters; only Galveston County indicated it would immediately send out letters asking voters for proof of citizenship. After the state’s announcement that it was flagging tens of thousands of registered voters for possible citizenship checks, some Texas voters could be receiving requests to prove their citizenship this week. Local election officials have received lists of individuals whose citizenship status the state says counties should consider checking. Officials in some of Texas’ biggest counties said Monday they were still parsing through thousands of records and deciding how best to verify the citizenship status of those flagged by the state. But in Galveston County, the first batch of “proof of citizenship” letters were scheduled to be dropped in the mail Monday afternoon. Those notices start a 30-day countdown for a voter to provide proof of citizenship such as a birth certificate, a U.S. passport or a certificate of naturalization. Voters who don't respond will have their voter registration canceled. The Texas Tribune reached out Monday to 13 of the 15 counties with the most registered voters; Galveston was the only one that indicated it would immediately send out letters, even as more than a dozen civil rights groups warned the state and local election officials that they risked violating federal law by scrutinizing the voters flagged by the state. Cheryl Johnson, who oversees the voter rolls in Galveston County as its tax assessor-collector, said she was simply following state law by starting to send letters to the more than 830 people the state flagged. Those people are among the approximately 95,000 registered voters whom the state said provided the Texas Department of Safety with some form of documentation, such as a green card or a work visa, that showed they were not citizens when they obtained driver's licenses or ID cards. It’s unclear exactly how many of them are not U.S. citizens. Legal permanent residents, also known as green card holders, who become naturalized citizens after obtaining driver's licenses are not required to update DPS on their citizenship status, according to voting rights lawyers. Past reviews of the voter rolls by other states ultimately found that a much smaller number of the thousands of voters initially flagged were actually noncitizens. Civil rights groups have pointed to Florida, where a similar methodology was used to create a list of approximately 180,000 registered voters that officials claimed were noncitizens. The number ultimately was reduced to about 85 voters. Amid a court fight, Florida eventually agreed to reinstate 2,600 voters who were mistakenly removed from the rolls because the state classified them as noncitizens. Bruce Elfant, Travis County’s tax assessor-collector and voter registrar, indicated he was concerned about the accuracy of the data because the county previously received data from DPS that was “less than pristine.” County officials vowed to review the list they received of 4,547 registered voters but were still trying to convert the data into a usable format. He said he also wanted more information about the methodology the Texas Secretary of State’s office used to compile the list, pointing out that naturalized citizens may have obtained their driver's licenses before becoming citizens. Other county officials echoed Elfant’s point about naturalized citizens. 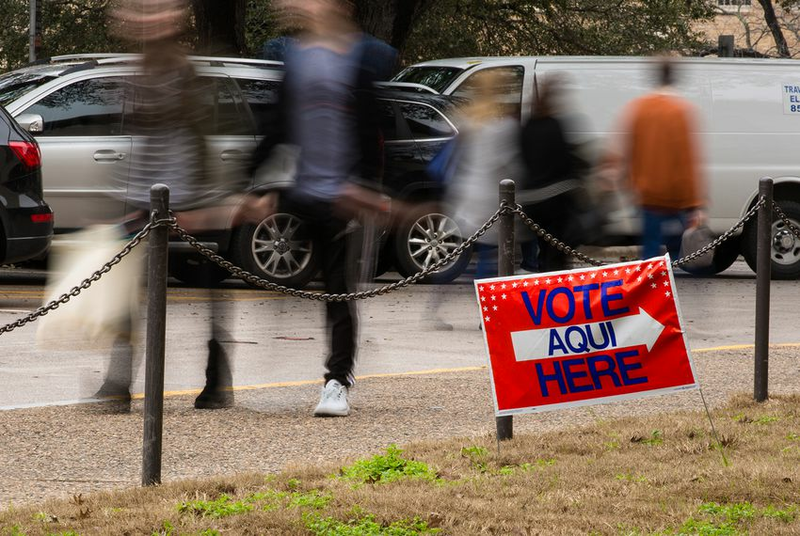 Collin County’s election administrator, Bruce Sherbert, said the county had received a list of approximately 4,700 names and would consider them on a case-by-case basis, checking for situations in which a voter already might have already some form of proof of citizenship. Election officials in Fort Bend County said they had received a list of about 8,400 voters, but they noted some may be duplicates. El Paso County officials said their list had 4,152 voters. Ray said the county plans to examine the identities of voters on the list, reviewing registration information on file and proceeding with the confirmation process if they have “serious questions” about a voter. Election officials in Dallas, Tarrant, Bexar, Hidalgo, Montgomery and Cameron counties did not respond to questions about the lists they received. The state declined to provide specifics about the list on Friday and directed the Tribune to file an open records request.